If you loves traditional cole slaw, this is the perfect healthy swap. 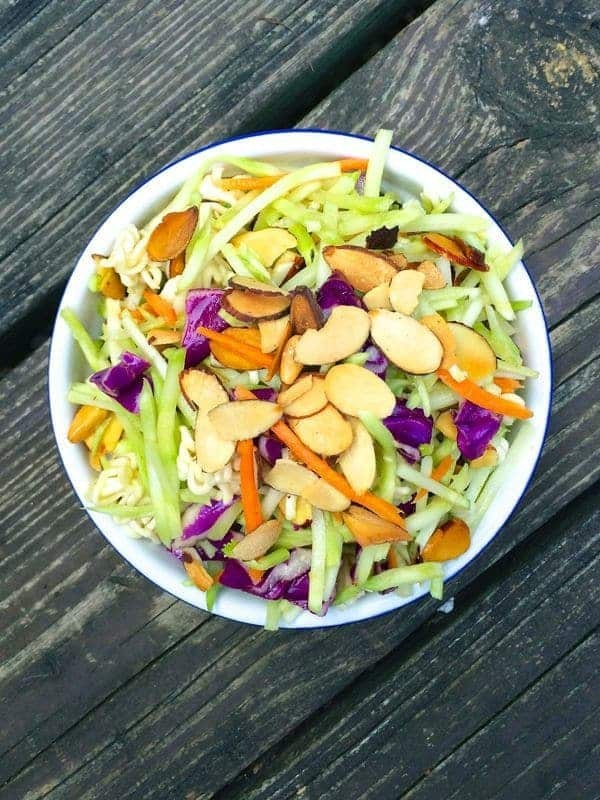 This Asian Ramen Broccoli Slaw is perfect for outdoor functions because there is no dairy (such as mayo) to spoil in the sun. 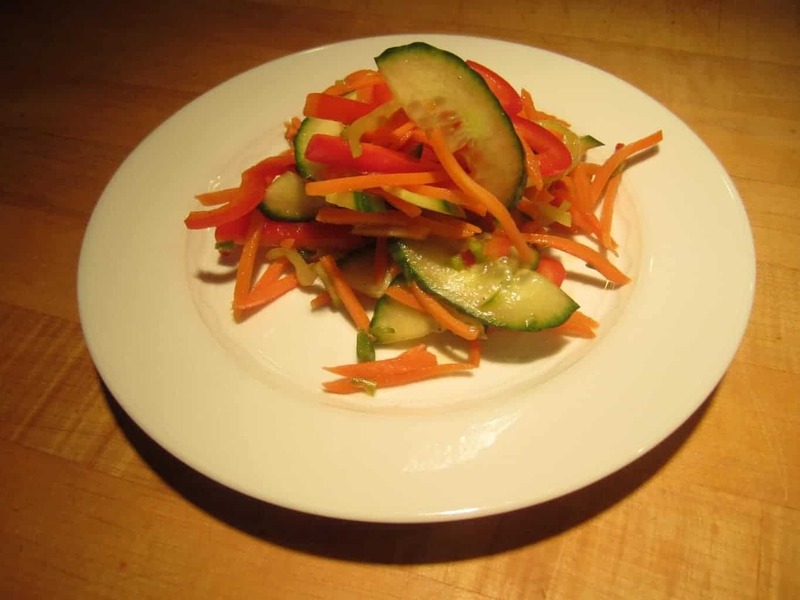 Today’s recipe is inspired by my cousin Beth who introduced this addictive salad to our family. 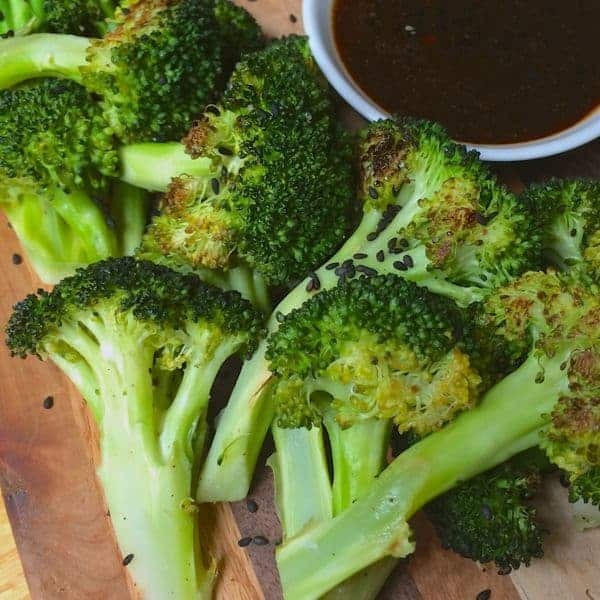 As the weather starts to warm up, nothing tastes better with grilled meats or picnic spreads than this tart and tangy Asian Broccoli Slaw. Is ramen the healthiest ingredient in the world? No. But everything in moderation – right? 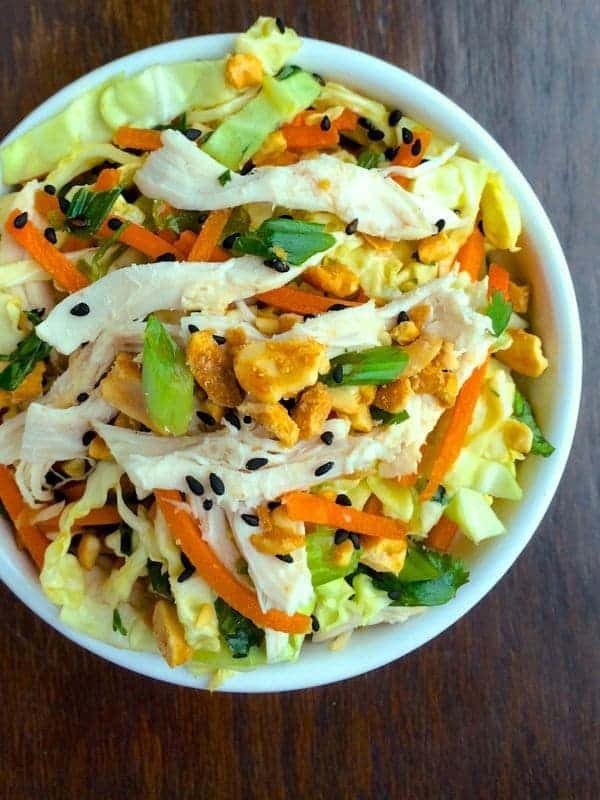 To incorporate this salad into a healthy dinner, simply skip a starch (you have the noodles afterall) and serve with grilled chicken or fish. Be sure to toast the almonds in a dry pan for a few minutes before adding them into the salad. The heat brings out the flavor and releases the natural oils in the almonds. 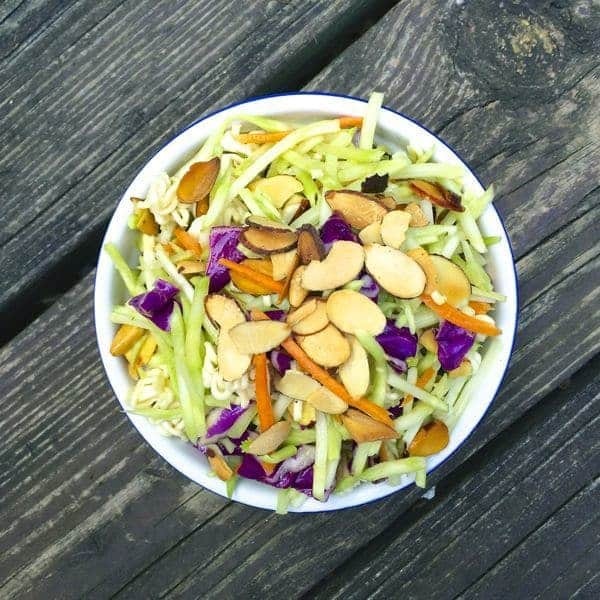 In a medium bowl, toss broccoli slaw with toasted almond slices. Add the raw ramen noodles broken into bite sized pieces as well as the scallions. To prepare dressing, whisk white vinegar with canola oil, stevia packets and chicken seasoning packet from the ramen. Toss well and serve - tastes even better after it has been sitting. Nutritional Information (per serving): 208 calories, 11 g fat, .8 g sat fat, 0 mg cholesterol, 267 mg sodium, 21.7 g carb, 6.6 g carb, 7.5 g protein (Excellent source of Vitamin C and A).